The New Republic is a series of three comic books (for now) narrating the adventures of various heroes of the Republic in chronological order. 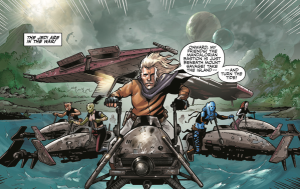 The first volume traces the mission Kyp Durron Jedi Knight and Dorsk 82 on the distant planet Corbos. The second tells when to him the mythical marriage between the famous Jedi Master Luke Skywalker and the former agent of the Empire, Mara Jade. The series ends when moving on to her death and her funeral mighty Chewbacca. Luke contemplates his academy on Yavin IV, his apprentices and their great potential, which gives it a great relief and pride. The Jedi reborn. Meanwhile, on the planet Corbos mining, ore prospectors are about to blow a piece of mine with the hope to find fortune. But the only thing they found was the fossil of a creature, a Sith Leviathan. While the miners returned to their families, the Leviathan revived, and attacked the colony. The miners had just enough time to send a distress message to the New Republic. On Coruscant, Leia Organa Solo discusses the achievements of their government with Admiral Ackbar, when they are interrupted by the message from Corbos. But Leia can send the fleet, it is being restructured; Ackbar and suggested he ask his brother to send Jedi to investigate. On Yavin IV, Kyp Durron Luke and hosts a supply ship and a newcomer, Dorsk 82, clone 81 Dorsk’s friend Kyp killed in the last battle against the empire. Kyp took him to the grave of Dorsk 81, telling his story and passing it the lightsaber that belonged to him. While the jungle seemed calm, a hideous creature attacked and Kyp discards quickly, which reinforces the desire to Dorsk 82 to become a Jedi. Once back at the Academy, Luke informs Kyp a mission awaits on Corbos. Kyp then chooses to take 82 Dorsk with him, and Luke tells them a ship, the Celador Sash. In case of problems, Kyp is instructed to call Kirana Ti and Streen reinforcement. On the way to Corbos, Kyp tries to give confidence to Dorsk 82 which is filled with doubt and underestimates itself. This confidence lesson ends when the Celador Sash arrives in orbit and captures the distress message. 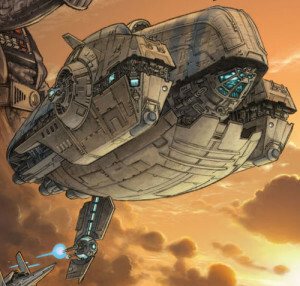 Flying over the area, the Jedi and his friend find the damage of the colony and ask them to investigate. Everything is destroyed, and only traces remain of fight with a mysterious and violent aggressor. Yet one thing wrong, Kyp hears minor complaints through the Force, while there is no trace of them. The storm hits yet on the planet, and no track is looming. Kyp offers his friend to rest before starting research outside. Dorsk 82 fell asleep and Kyp took the opportunity to go hunting the only monster, because he knows that it’s too dangerous for his companion. For its part, Tionne who stayed at the Jedi Academy with others, conducts research on Corbos. She discovers with horror that in history many settlers are there to be installed, and each time these settlers have perished in the destruction of their facilities. Concern mounts for Kyp and Dorsk 82. The latter also awakens and finds the disappearance of Kyp. Worried, he returned to Celador Sash and called for reinforcements. Kirana Ti and Streen, receiving the message, embark on a ship and leave for Corbos. Kyp began climbing a rocky pan, that seems to be the source of the screaming children. The only trouble is that the storm does not make the task easy and is even the source of a landslide that Kyp forced to seek temporary refuge in mining galleries. One thing is sure, through the Force Kyp managed to understand that the creature in question is a Sith Leviathan. It does not actually soon find it at the top and challenge him. Then a tug of war between them begins. Streen and Kirana Ti arrive on Corbos and join Dorsk 82. All three go in search of Kyp, and sink into long tunnels of the mine, until you get near the power plant fed by the lava planet. There they take a gallery leading them in a sort of nest containing eggs countless Leviathan. These hatch, threatening the Jedi defending themselves lightsabers in hand. The most distressing for them is the fact they know Kyp faces an even greater danger. Using spins, Kyp managed to get on the monster and to plant his sword in a sort of pocket. From it come the spirits of some minor and Kyp then includes what remains to be done. Nevertheless, Leviathan floored it, and a landslide lack dropping it into a chasm appeared under his feet. He manages to remember but loses his lightsaber, and eventually ends up hugged by an appendix of the creature. It is then ready to devour humans as it did with the miners. Except that Kyp is a Jedi Knight, making it a formidable opponent. It uses the Force to grab a picnic ground and a piercing eye of the Leviathan who drops him instantly. Jedi Knight is once again call on the Force to attract lightning and kill the Leviathan. 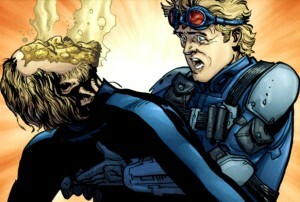 Once it is electrocuted, Kyp resumes his improvised spear and pierced the other pockets. The fight is over, and it is then that Kirana Ti chooses to join Kyp by the abyss in which he almost fell. Dorsk 82 returns his sword he recovered in the process. Despite this, Kyp is not reassured, he always hears the minor complaints, the hottest battle so still to come. It does not take long for an even bigger Leviathan arises. 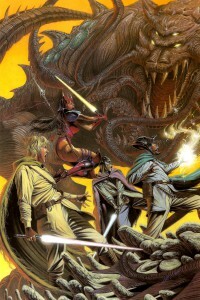 The Jedi Knights are trying by every means to overthrow the monster in order to break the pockets and kill him, but the creature shows fierce and dangerous. The storm complicates the task when the ground collapses again, taking all combatants. 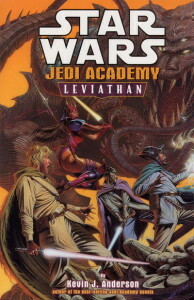 The Jedi managed to keep the ropes, while Leviathan falls into the pool of lava. The fight is not over, the Leviathan spring unhurt and furious. The difficulty increases for Jedi fighters, since the danger has increased. Frightened, Dorsk 82 behind the power generator while his companions dodge lava droplets from the monster, and the monster himself. Suddenly the Khommite has an idea, the generator still works and the power it gives off could eventually kill the Leviathan. He shared his idea with the rest of the team that entertains the Sith creature to lure against the power cables. Once done, Dorsk 82 restores the power and kills the creature releases in passing last minds of minors. The defeated Leviathan Corbos becomes a dead planet. The group returns on Yavin IV with a slight bitter taste had the loss of all minors. But at least their minds are no longer tormented and threat left by the Sith thousands of years ago is eradicated. Once back on Yavin IV, Dorsk 82 and Kyp will gather at the tomb of Dorsk 81. Khommite wants to become a Jedi, like his predecessor, Kyp and promises to do everything to help him. The action of the series takes place twenty-five years after the Battle of Yavin, during the Yuuzhan Vong War. It allows to discover this galactic conflict through new characters, members Galfridian family, whose route crosses those heroes already well known, mainly from families Solo and Skywalker. The events take place at the return of the Yuuzhan Vong after their apparent defeat in Helska IV, at a time when extragalactic sow chaos in the territories of the New Republic in the Outer Rim. Therefore, the whole story in the first story arcs, Refugees and Survivors (Refugees and Rescues in VO), takes place in this part of the Galaxy. The precise chronology of events is not strictly specified in the account, but they would seem that the series takes place between Shipwreck novels (The New Jedi Order Volume 3, The Dark Tide II) and Wrath of Heroes (The New Order Jedi Volume 4, The Agents of Chaos I). While the first numbers left hovering a complete blur on the circumstances, several clues have appeared over the story. 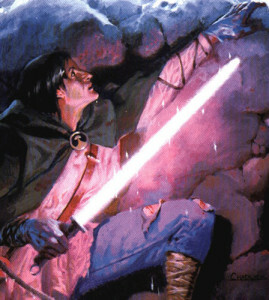 To begin, we see repeatedly Kyp Durron assist Luke Skywalker on Yavin IV, gold he returned to the bosom of the New Jedi Order after the battle of Ithor. Then the Yuuzhan Vong warriors await the arrival of their Warmaster Lah Tsavong, who leads the assault until months after the fall of Ithor. Finally, Han Solo did he seems to still not recovered from the loss of Chewbacca nor reconciled with his son Anakin, which he manages to do that after the events of the series Agents of Chaos. 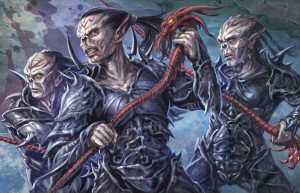 Unbeknownst to the peaceful planet Artorias, the Yuuzhan Vong entered the Foreign and Border infiltrated some of their agents in this world, one where lived the brother and sister Kaye Finn Galfridian, their mother Nina and Caled father, ruler the planet. Despite a courageous action by space explorers to try to prevent them, they were taken aback by the suddenness and brutality of the assault extragalactic. In this desperate situation, the various family members were separated. Caled remained on Artorias where he led a guerrilla war for months, undermining efforts Yuuzhan Vong to conquer and convert the world. Finn went with Luke Skywalker to Yavin IV, where he began a Jedi training and became precious friends people Jacen and Jaina Solo. Finally, Kaye and Nina were taken aboard a slave ship where the girl found an ally in Arbeloa, a colossus ultimate survivor of his own world. Quickly, Kaye proved to be a fierce fighter and a charismatic leader. His determination and intelligence allowed him, with the help of Arbeloa, to seize the vessel when it renamed the Artorias Heart. 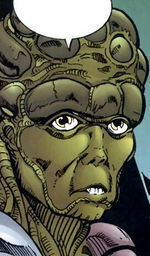 With his mother to the “cockpit”, the former slaves could go wherever they wish and they went on Dibrook where Yuuzhan Vong had taken other civilians during a battle they could not that interrupt. For his part, Finn followed an accelerated Jedi training before participating in his first real experience of fire on Rychel. There he saw a Jedi Master lost his life before his eyes just before he saves the life of a murderer, a fierce Yuuzhan Vong named Tsalok who did not understand why the young man had spared. Thereafter, Finn went on Nar Shaddaa where he received a strange holocron that seemed dedicated. Determined to rescue the captives extragalactic, Kaye took an army composed only in part of soldiers of the New Republic, on the surface despite the toxic atmosphere. But Tsalok already there, to get information about the identity of the young man who had saved and been obsessed, and was able to coordinate a response to the arrival of the young woman. He sent to the front captives monstrously modified Modelers and did kill others before fleeing the planet, giving a very bitter taste to victory Kaye and his. For his part, Finn discovered that one of the old friends of his family was a spy Yuuzhan Vong and decided to return to Artorias to warn his father. Although qu’épaulé by the Solo twins, he could not arrive in time to rescue him and could only listen to the revelations made by his father on his deathbed. He then obeyed his will and left Artorias with defenders. He then went back to Nar Shaddaa to find the man who prepared the holocron for him, and perhaps some answers. This sheet describes the Dark Times series in general. To see a particular issue, refer to the list located at the end of this sheet. Dark Times is a series published by Dark Horse Comics from November 2006 until today. It is intended as a direct result of the Republic series, which had stopped in February 2006 on the Order 66. Between Dark Times and Republic is the one-shot Purge. These words perfectly describe the situation then. The Republic was replaced by the Empire, the Jedi were killed by the Sith and their troops, and the black veil of the dark side of the Force begins to cover the entire Galaxy. The Jedi Purge however was not as perfect as expected because a small number of Jedi managed to survive. Among them, we note in particular the Human Dass Jennir and Whiphid K’Kruhk. Dark Times therefore proposes to follow the adventures of Jedi survivors parallel adventures of the crew of the smuggler vessel named Uhumele. Led by Captain Schurk-Heren, this crew is made up of victims of the Clone Wars, which try to stick together in these dark times. Initially, the crew are (in addition to the captain) of the pilot Crys Taanzer, browser Sniffles, engineer of Ratty, the assistant engineer Jank and thugs Ko Vakier and Mezgraf. Thereafter was grafted Greenbark Bomo, the only Nosaurien survivor of the Battle of New Plympto. The special feature of Dark Times, besides its dark atmosphere, the fort is believed despair that haunts its pages. The adventures of the characters are studded drama, some ignoble, which show some maturity rarely seen in Dark Horse Comics. The more adult series, Dark Times takes no tweezers to show the horrors related to the Clone Wars, the rise of the Empire and the fall of the Jedi. 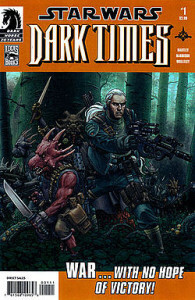 Publication side, Dark Times is also the series that has been the most eventful release dates. Constantly driven back, the numbers almost never come out on the date originally scheduled. 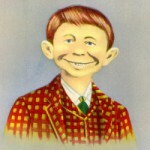 In almost a year and a half, only 10 issues were published, which is far from the regularity of a metronome Republic. 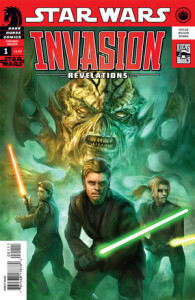 Things are not likely to get better from the summer of 2008 because the series will be paused in order not to overshadow the series Clone Wars comic book accompanying the release of Clone Wars 3D on screens. 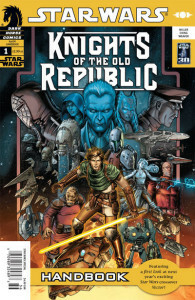 The Knights of the Old Republic series is the French publication by Delcourt series Knights of the Old Republic release in the United States. It traces the adventures of Zayne Carrick, Padawan wrongly accused of the death of his classmates. Knights of the Old Republic takes place between the Legend series Jedi and the video game Knights of the Old Republic. We discover the past of some characters in the video game like Dark Revan, Darth Malak, Carth Onasi and Saul Karath for example. Thousands of years before Luke Skywalker destroy the Death Star during the Battle of Yavin, a young Padawan Zayne Carrick’s name must escape his former masters who accuse him of murdering his training companions. Zayne will find some unexpected allies in the person of a crook Snivvien, but also a team of refugee underworld of the planet Taris. We are in the year 3964. The Mandalorian Wars are raging in the Outer Rim and approach more and more of the Republic. It is in this context that a group of Jedi Knights decided to go to the front after a detour through the planet Taris. These Jedi called for a greater involvement of the College in the coming war against the Mandalorians. Taris. Zayne Carrick, Padawan Lucien Draay, continues to pursue the thief and con artist Marn “Gryph” Hierogryph. In a yet another failed attempt to arrest the Jedi is projected into space and it owes its salvation than another Jedi named Squint who manages to enter the rapidly falling. This leads back to the Temple and healthy except with his Jedi companions who are waiting to leave for the Mandalorian front. Indeed, Squint is the Jedi who disobey the Council in going to war. 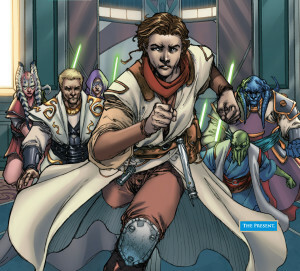 Upon arriving at the Temple, Padawan Zayne finds his friends: Shad Jelavan, Kamlin, Gharn and Oojoh Lucien and their Masters, Q’Anilia, Raana Tey, Xamar and Feln. All attending the departure of the Jedi guided by their leader as the media call “revanchist”. In the evening, as he was repaying the Besalisk who had rented one of the rooms for banquet, Zayne sees the Gryph window. He forgets the coup to repay the Besalisk Snivvien and to stop this attempt to arrest this time is good. Carrick brings his hold on the Temple Motojet, hoping it will not come too late for the dubbing session. When he arrives in the Council Chamber, a terrible vision before his eyes: the Jedi Masters stand, lit lightsabers, above the remains of his comrades. Including the Masters just killed their students and it is now his turn Zayne escapes the Temple to jump on Motojet which is expected Gryph. Lucien Draay and four Masters set off in pursuit. A terrible race takes place between tarisiens buildings. Finally, Zayne and Gryph manage to find shelter in a conduit that leads straight into the Lower City of Taris. While Zayne is accused of murder, Snivvien Padawan believed when he says that he is not a murderer. The two friends find themselves wandering in the Lower City, hoping to flee the authorities. Jarael living with another half-senile arkanien called Camper. He alone can help Zayne and Gryph to leave Taris. At first reluctant, Camper reconsider its position when a baronial class vessel with Jedi Masters on board arrives. Zayne, Gryph, Jarael Camper quickly and get on the Last Resort which takes off towards space, the Jedi of the camera is not equipped to navigate the void. The Last Resort is hidden in the asteroid belt that lies at the center of the system. But the ship is quite rundown and Camper must cut the engines to be able to make some repairs. Jarael continues to distrust because it Zayne is accused of murder but an uneasy Camper prevents him to keep an eye on the Padawan; She then leads the old Arkanien in his cabin. Carrick took the opportunity to get out the asteroid field the ship in order to communicate with Jedi Enclave of Dantooine where he hopes to get help. Thus, the Masters of Taris saw the return of the Sith. Zayne finally has what he wanted but did not have time to think about the sequence of events as the Last Resort soon fall into the hands of the captain Oroko Valius Ying Gryph knows that. The imposing Twi’lek listen to the market that offers him the Snivvien to get out of trouble: he agrees to let him go with Camper and Jarael while Zayne would remain his prisoner. Once the young man would have been brought on Taris, Gryph hoped he would not have had as using mental tricks Jedi Valius to slip away and leave the planet. A person in a red spacesuit then landed with a lightsaber in hand. The Masters think they see where the Sith Lord their vision but is actually Jarael, came to rescue Zayne. 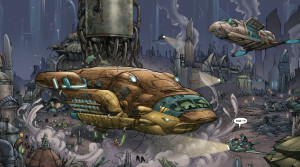 With the propulsion system of the combination, both fly to the roof of the temple which awaits the Last Resort. Gryph has indeed managed to bribe the second of Oroko to release the vessel to rescue the former Padawan. Jarael told Zayne that he was the first to choose to sacrifice for them and they could not let him walk in nature by thinking that this is reasonable behavior. Carrick and leaves Taris. Following this new proof of incompetence of the Jedi Order, riots broke out across the planet and the Masters of Taris are recalled to Coruscant by the Jedi Council. Before leaving the temple, Draay Lucien and his fellow Jedi receive a holographic message Zayne Carrick in which he made them swear to bring out the truth and be rehabilitated. For this, it will track all five and only those who confess will survive.